Congratulations! You’re ready to buy your first RV and set off on some awesome adventures! Definitely read story about my first rv adventure. Looking through adverts and attending RV shows can be pretty daunting. Slide-outs, Class A, fifth wheel, it’s hard to know what they all mean. Read on, as we guide you through some important differences in the range of RVs available and help you decide which type could be the perfect partner for your next trip. First things first, you need to know what different types of RV are on the market. This category covers motorhomes, which combine live-in accommodation within the body of your vehicle. Covering a wide variety of trailers which provide your accommodation but require a separate vehicle for towing. Let’s take a look at the options within both those categories. These are the Rolls Royce of the RV world – some of the biggest motorhomes on our roads. Many include absolutely every creature comfort you’d expect to find in most homes, including a complete kitchen with dishwasher, oven, stove, and fridge. Class A motorhomes also usually have high specification bathrooms, master bedrooms, and a spacious living area. Some even come with underfloor heating! Combine this with a large amount of storage space, and the possibility of having as many as five slide-outs – Class A offers a real home away from home. 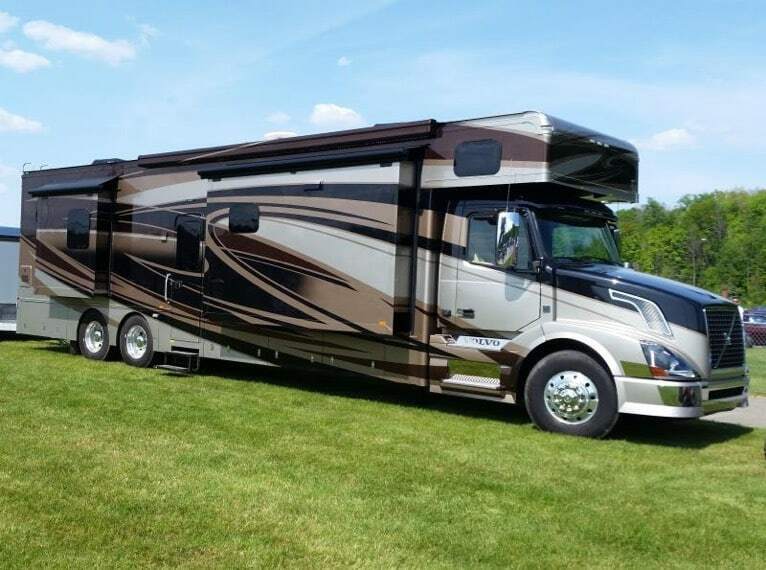 Of course, all this comes with a hefty price tag, making Class A RVs your most expensive option.Due to their size, driving a Class A also takes some getting used to and they won’t be able to access some more remote campsites. These motorhomes are based on a van chassis, meaning that the Class B motorhome is often referred to as a Camper Van. Most come equipped with a compact kitchen and bathroom set-up and your living space generally converts into a sleeping area. Class B motorhomes are perfect for up to three people and driving one of these won’t feel too dissimilar from driving an SUV. These motorhomes are easy to drive and maintain, but if you’re planning a long trip you might find yourself feeling a little cramped. The Class C motorhome is bigger than a van-based Class B, but smaller than the Class A, giving you the best of both worlds. For this reason, these are a very popular choice. These are easier to drive than a huge Class A, but some of the larger models provide almost as much space, as well as the option to have slide-out sections. More space means Class C RVs can more comfortably accommodate extra family members, as well as allowing you to take longer trips with more luggage. Before we take a look at your engine out RV options, there are some important points to bear in mind. For all trailer RVs, you need to make sure your towing vehicle is capable of pulling the loaded weight of your trailer. Engine out RVs certainly come with a number of advantages, including the fact that they’re easier to winterize and maintain. You can also leave them at your campsite and head off to explore in your separate vehicle. With an engine in RV, that’s only possible if you bring along an alternative form of transport as well. Now, let’s take a look at your engine out choices. These trailers come in a huge range of sizes, from tiny ‘teardrop’ trailers of around 12 foot in length to huge triple axle trailers up to 33 foot long. So, if you choose an RV in this category you’ll have plenty of options! 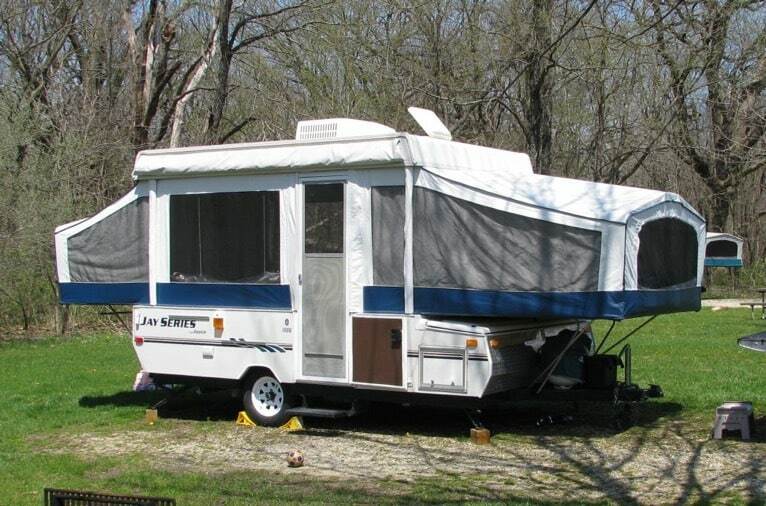 The majority of camper trailers fall in the middle of the category and can sleep four to six people. 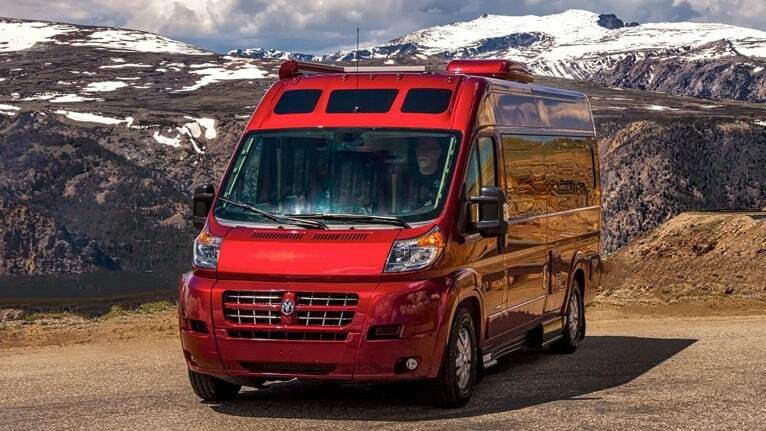 Many models come with many of the mod-cons you also see in the larger Class C and Class A motorhomes, including slide-outs, generators, and luxury interiors. These trailers differ from any other engine out RVs, in that they attach to a special hitch within the bed of your pickup truck, as opposed to a conventional towbar. This gives them a number of advantages, including that they are easier to pull due to some of their weight resting over your pickups rear axle, as opposed to behind it, as with any other trailer. It also means that they’re easier to back up into spaces at campsites than other trailers. Fifth-wheel trailers come in a wide variety of lengths and you’ll need to take this variation into consideration when calculating whether your truck can cope with this load. These trailers are a very popular option due to their versatility. 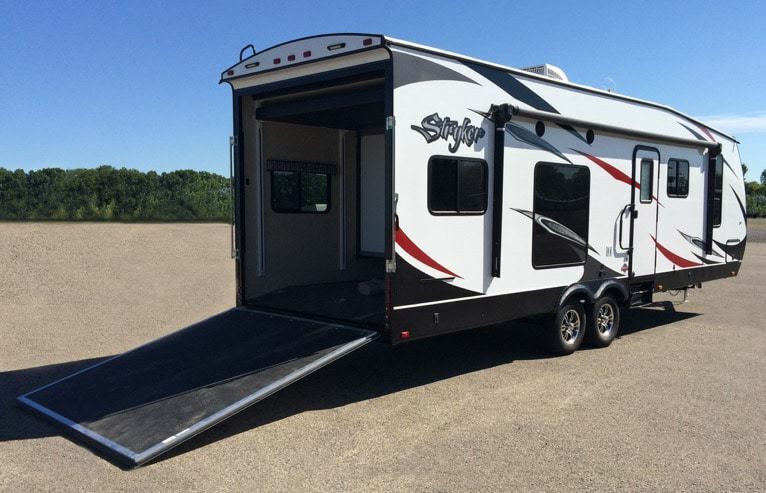 Also known as the Sports Utility RV (SURV) the toy hauler is perfect if you have an ATV, motorcycle or other ‘toys’ that you want to bring along on your RV adventures. This is because toy haulers have a totally separate compartment for your quad, jet ski or motorcycle. 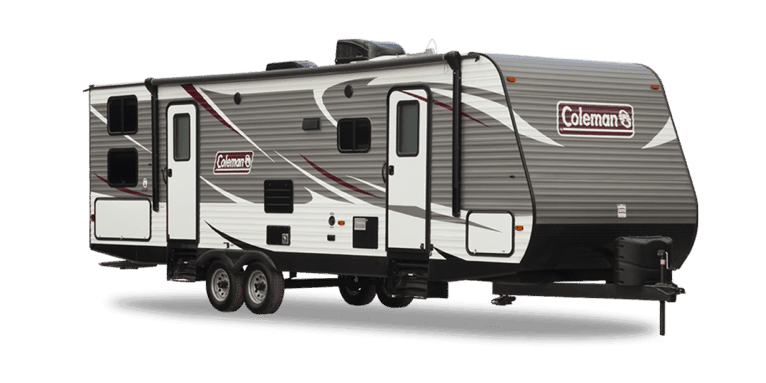 You can choose toy haulers configured as a standard travel trailer, or fifth wheel, depending on your preference. If you choose this option, remember to take into account the combined weight of your trailer and toys when calculating hauling weight. If you don’t like the thought of towing a trailer but aren’t quite ready for a motorhome, then a truck camper could be the perfect solution. These campers provide living accommodation which sits upon the back of your pickup. Larger models can include bathrooms and kitchens, with some even offering a slide-out option. Truck campers are an economical choice as well as being one of the most versatile options, allowing you to access routes which may be out of bounds to other RVs. If you like the look of a travel trailer but are looking for something slightly more compact, then a pop-up hybrid is a great choice. This combines a smaller sized trailer with fold-out sections which expand the size of your living space once you’re parked up. These lightweight trailers are a great choice for short trips but bear in mind that they often don’t include bathrooms. Similar to the pop-up hybrid trailer choice, the pop-up trailer offers the same features on a smaller scale. Again, you will be limited to bathroom and kitchen options with a pop-up trailer, and in poor weather or on longer trips you might find this inconvenient. Of course, their small size and wieght also means they are more affordable, making them your entry-level option into the world of RVing. You might already have a good idea of which category of RV you think you want, but the sheer level of choice can certainly be overwhelming. Asking yourself a few key questions to find out exactly what you’re looking for will definitely help you decide if you’re on the right track. And if not, finding out now that switching to a different type of RV could save you a lot of hassle in the future! Let’s take a look at some of those questions in more detail. What sort of RVing do you want to do? This is a really important section! By drilling down into the sort of RVing you want to do, you’ll get a much better idea of the type of RV that will suit you and your needs best. First off – ask yourself if you would prefer to drive a motorhome or tow a trailer? Both have their advantages and disadvantages, but as a general rule, trailers are more affordable and can be a good first choice. Whilst motorhomes are more expensive, some people find towing difficult and that can definitely be a deciding factor in your decision. 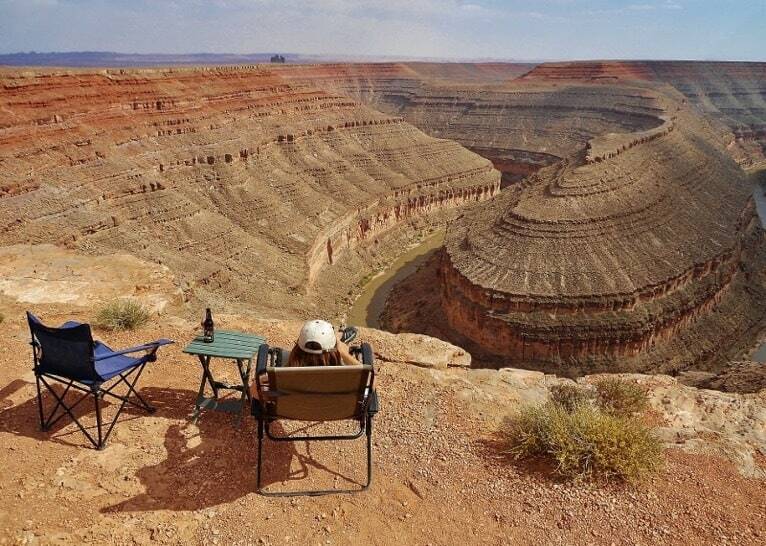 Secondly – where do you plan on taking your RV and what time of year? If you want to head far off the beaten track all year round, then a truck camper mounted on your four-wheel drive SUV could be a perfect choice. If you plan on staying on mostly well-surfaced roads, then you’ll have a wider range of RVs to suit you. Third up – how many people will you be traveling with? For one or two people, smaller RVs will fit the bill perfectly. But for families with kids, bear in mind the extra storage space needed for toys, as well as the fact that a larger living space might make your trip more comfortable. The next question you want to ask yourself is how often you’ll be using your RV? This will definitely affect the amount of storage space you need. For short, infrequent trips you can get away with a smaller RV with less storage space. If you’re heading out on longer trips, storage will likely be a priority. Last up – think about features you actually NEED versus features you WANT. It’s best to be really honest here as it’s going to help you identify your perfect RV. If you plan on using your RV only occasionally and eating out for the majority of your meals, then you’ll probably be happy with a small kitchen and a larger living area. But if you’re heading off on some longer trips and love cooking in your RV, it’s likely you’ll be glad of some extra space on those kitchen countertops. 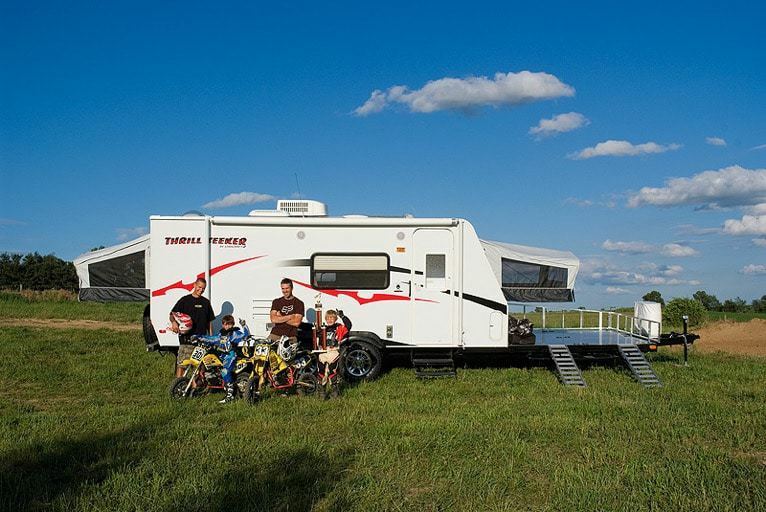 Storage space is an important one – if you’re planning on RVing as a family, or spending plenty of time mountain biking, then having enough space to stow all your gear is vital. On the other hand, if there’s just two of you and you’re fairly minimalistic you can get away with much less storage and perhaps prioritize other areas. Do you need the extra room that slide-outs create – or do you just really like the idea of having them? If you’re planning on living the dream and heading out in your RV for over a month at a time, then you may find the extra space they create to be invaluable. But, if you’re using your RV for weekend trips in the summer, then it’s likely you’ll be spending a lot of time outside and won’t miss having a slide-out. By now, you should have a better idea of the type of RV you’re after and can start setting a budget and looking at buying options. If you have the funds to buy outright, then this is a great option. Financing your RV through a dealership is also a possibility, with most dealers offering finance deals with a variety of lenders. The rates offered by RV dealerships are usually pretty competitive, but you might also want to look into using a third-party lender. If you choose this option, getting pre-approved before visiting an RV dealership can save you time. It goes without saying that if you decide to finance your RV purchase, you should make sure you can afford your monthly repayments. 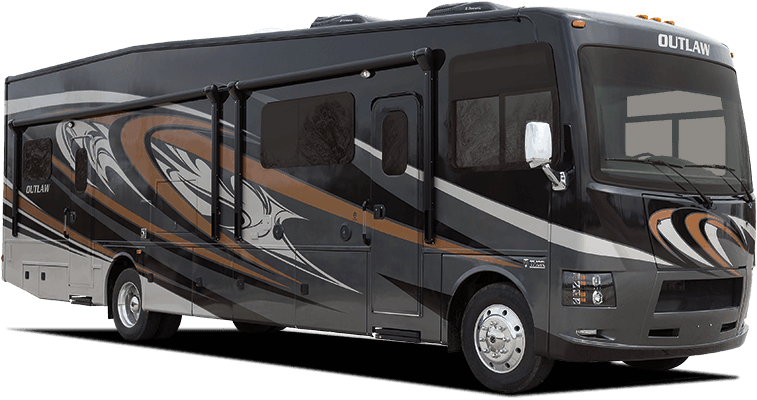 Buying a new RV means you may get the choice of customizing layout and colors, as well as taking advantage of manufacturer warranties. Of course, this comes at a price. 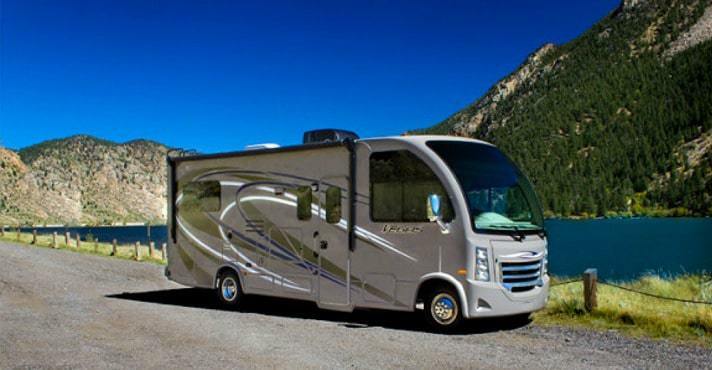 Choosing a used RV can be a more affordable option, however, it’s also likely that the warranty will have run out and you may need to invest in some repairs along the way. Bear in mind that the costs associated with running an RV don’t stop once you’ve made your purchase! Take into account things such as maintenance, insurance, miles per gallon and internet access when considering your budget. Hopefully, you now have a much better idea of what you’re looking for when buying an RV. If you think you’ve made your decision between Class C or fifth wheeler, or storage versus size, then it’s time to head on over to our RV buying guide and take the next step towards owning the RV of your dreams. If you have any hints and tips about your favorite RV, or which options you simply can’t do without, we’d love to hear them in the comments below.